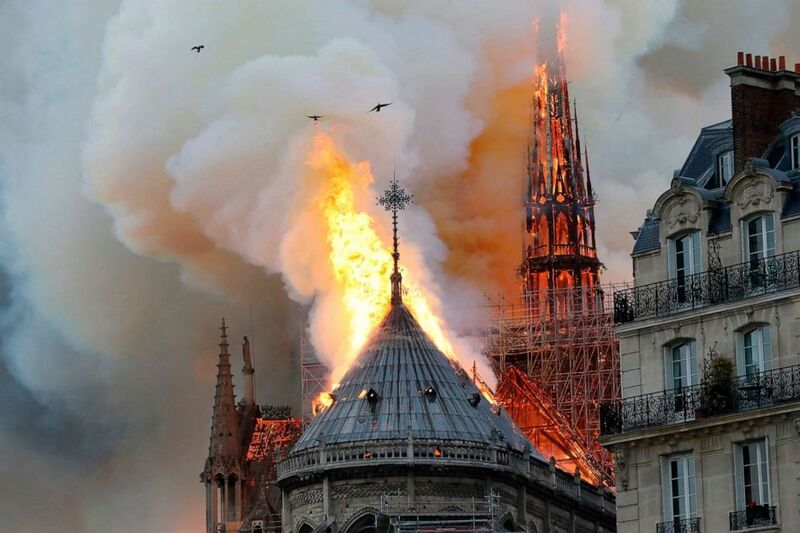 A fire has engulfed the Notre Dame Cathedral in Paris, one of the city's most iconic sights. 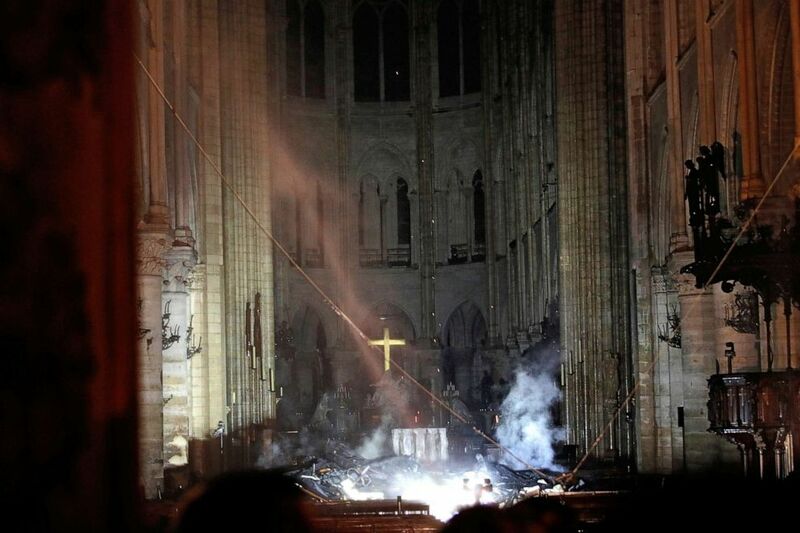 Flames rise during a fire at Notre-Dame Cathedral in Paris, April 15, 2019. 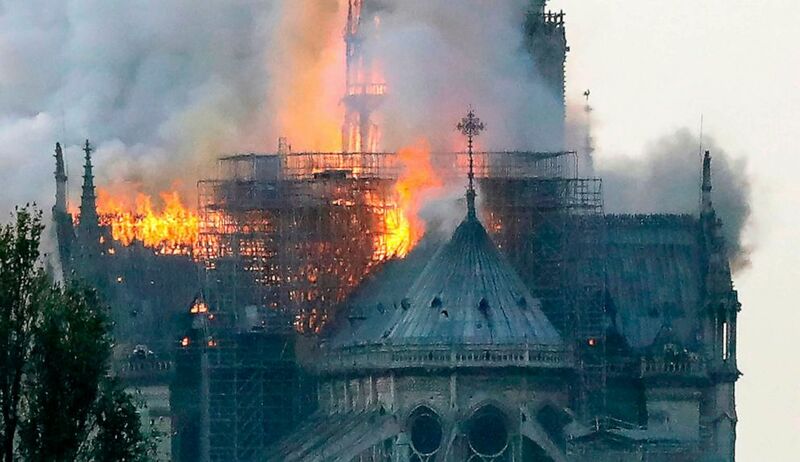 First responders are currently trying to salvage priceless art stored inside the cathedral, said Paris Deputy Mayor Emmanuel Gregoire. Last week, the statues of the apostles were removed for restoration, The Associated Press reported. 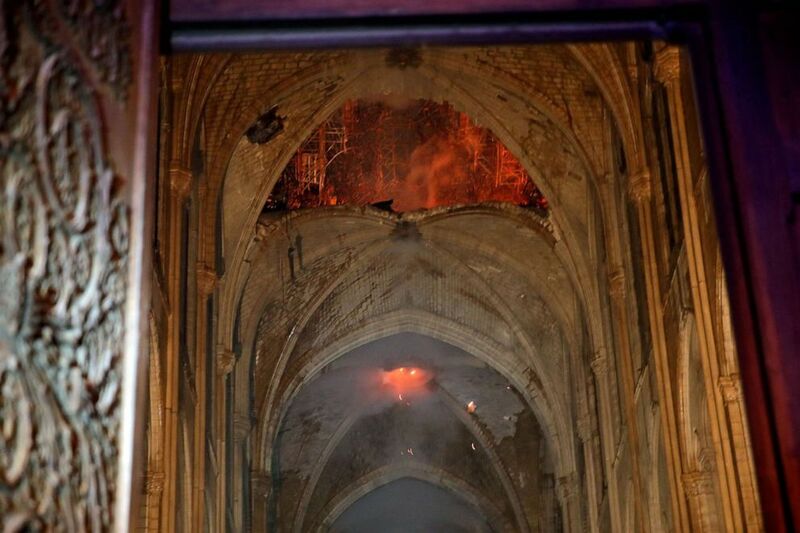 The fire may be connected to the recent restoration of the church, officials said. 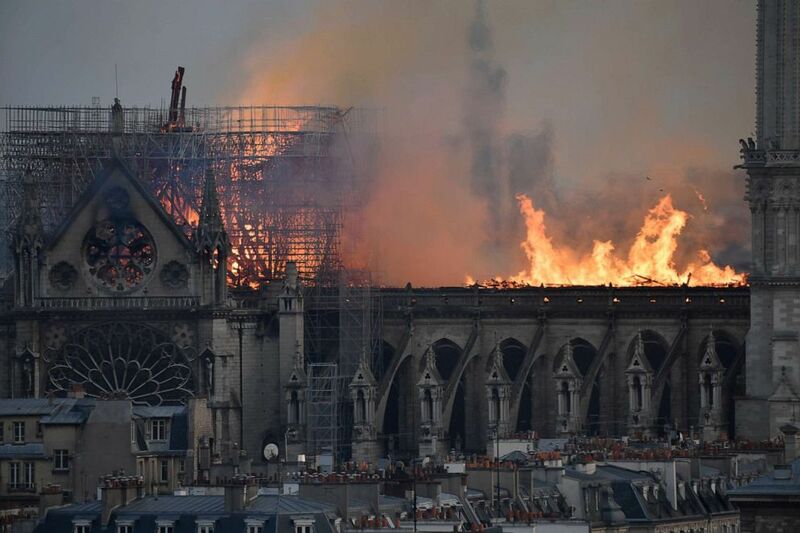 The restoration work costs 120 million euros, the Notre Dame Paris office told ABC News, adding that a fire alarm test conducted last week went well. 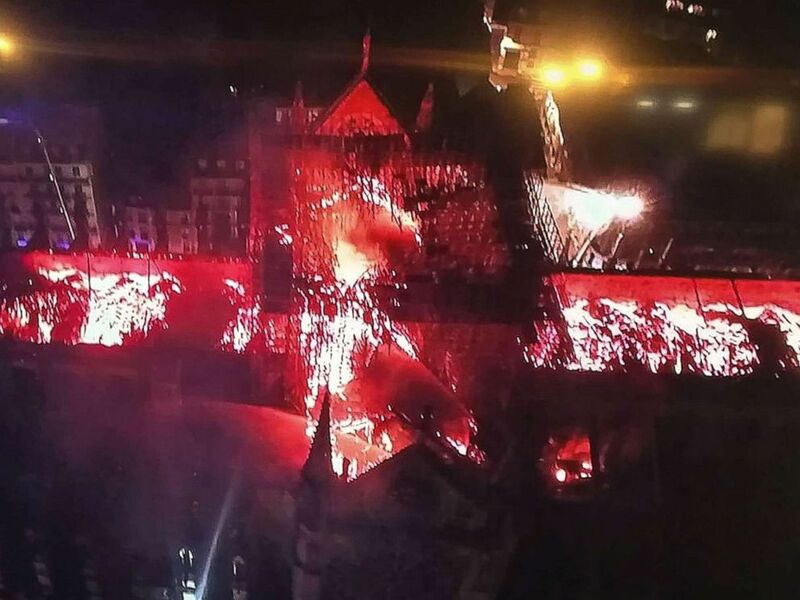 Flames burning the roof of the Notre-Dame Cathedral in Paris, April 15, 2019. 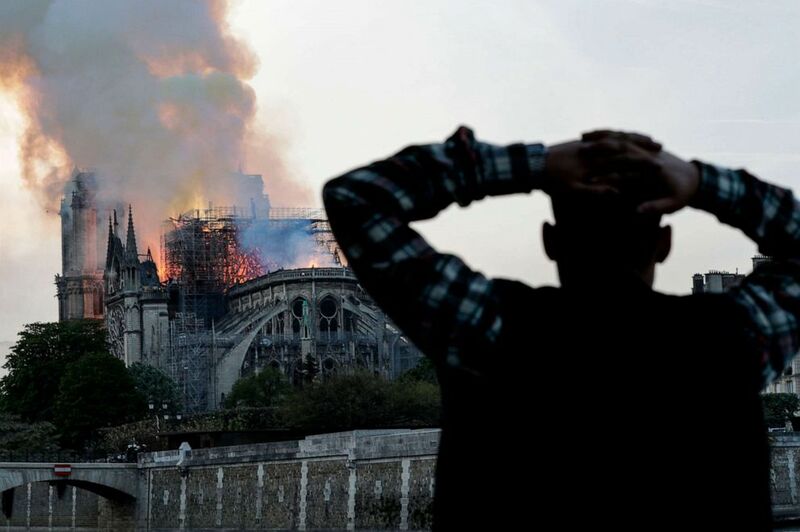 A man watches Notre-Dame Cathedral burn in Paris, April 15, 2019. 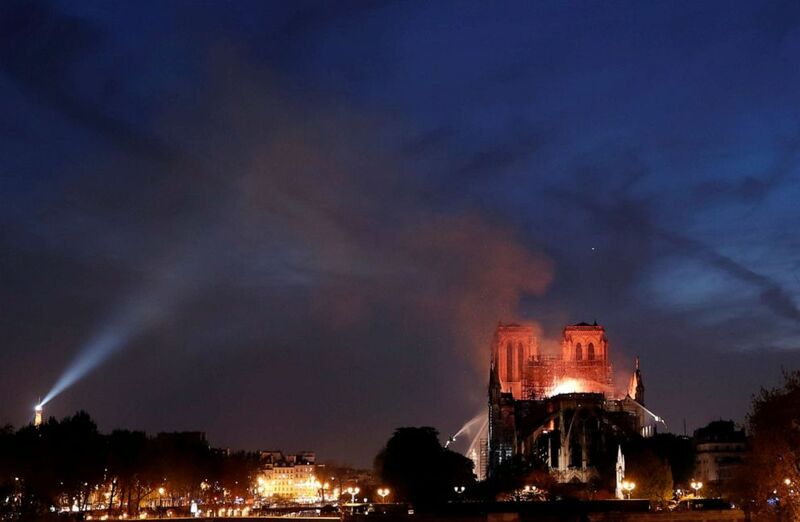 Fire fighters douse flames of the burning Notre Dame Cathedral in Paris, April 15, 2019. At one point, as the traffic on the river was stopped, Weymouth and about 40 fellow passengers from all over the world watched in horror for about 45 minutes as the fire destroyed the cathedral, she said. An image taken from a television screen shows an aerial view of the Notre-Dame Cathedral engulfed in flames on April 15, 2019, in the French capital Paris. ABC News' Ben Gittleson and Kirit Radia contributed to this report.